The key to understanding the chakra definition and how it affects our health and emotional wellbeing is best demonstrated by the heart chakra. In 21st century imagery the heart is as symbolic of love and emotions as it has ever been through the ages. Often symbology has been lost through the ages but the heart endures. 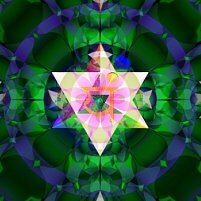 The heart chakra, is ruled as you would guess, by love; but we would say more generally emotions. 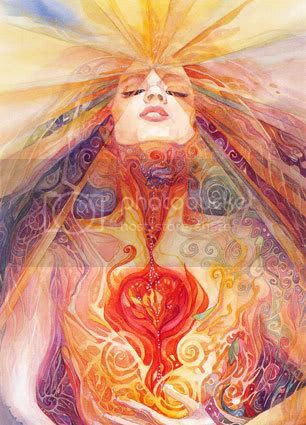 Most important to remember is that a balanced heart chakra has the ability to feel and experience unconditional love and associated "benefits" to that. It governs joy, compassion, generosity, trust and general happiness but needs to be spinning open and closed effectively for these emotions to be expressed in their truest forms. When it is jammed open or closed or even blocked, the heart chakra shows up very different emotions and personality traits. Raw, vicious and shocking emotions jar the heart chakra, divorce, adultery, grief. A broken heart. Jarred open heart chakra definition would be OVER-feeling. The person that gushes from really exuberant joy to crashing down bereft. You can often see this pattern immerge for example in someone who is trying very hard to shake the effects of a death of someone close to them. It's almost like they try to collect up some optimism and hope and then the next day it has just seeped away. You could see a very open heart chakra in someone who was suffering abuse for instance. Typically they will be completely overeager to please. They will suffer the abuse for years on end and just keep mopping up the other persons mess. They are TOO generous, TOO trusting, TOO compassionate, their reaction is inappropriate to the way they are being treated. In contrast of course a chakra can be shut closed to some extent in the same way but then you have "Lesser" emotions. Imagine it in terms of a volume level. 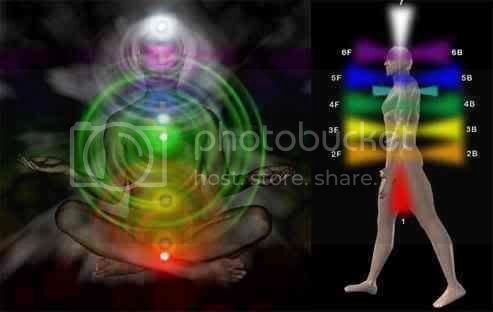 You have normal and balanced in the middle at 0...then one side things become very loud whith the open chakra. On the other, below O in the negative numbers you can see the closed heart chakra definition. The emotions you would expect to see here are really unsettled self destructive feelings. Guilt is a big one. There can often be paranoia and distrust. There is a capability to be loving abd generous, but in this case the action would always be conditional "I'll do this for you because I'll get that in return". This behaviour is completely counter to the heart chakra definition of expressing love through action. Worst case scenario, is that the heart chakra be completely blocked. The locked chakra definition is a most hard harted person. Devoid of compassion and empathy. This wheel of enery has some controversy when it comes to chakra colors. In some cultures it is seen as green, the colour of healing, yet in others it is passionate red. 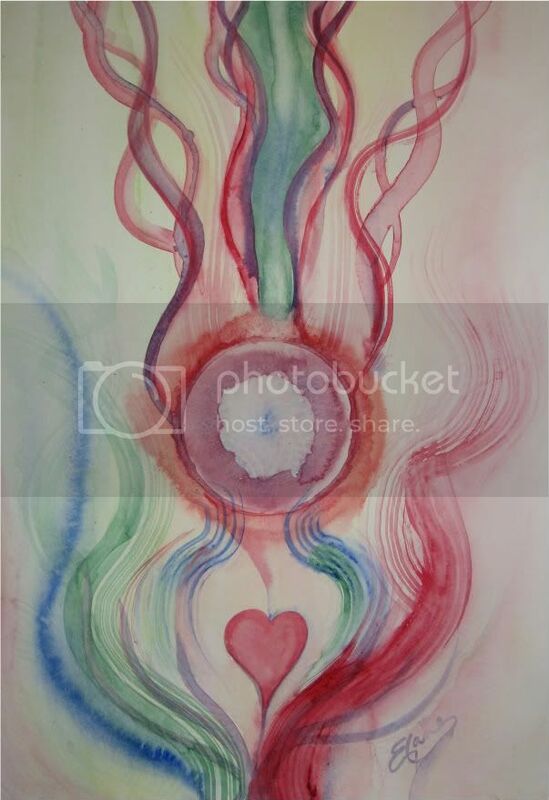 You will notice that each of the chakra pictures that I have chosen depict the heart chakra wth both colours. In fact I subcribe to the school of thinking that says that it is both colours. That the male part is green and the yang or female part is red, hot fiery sensuality. In the middle is pure serene whiteness. The two vibrations working in balance and harmony, bringing together the two aspects of love and meeting in the middle and creating a divine light. Some scholars even believe that when you achieve this perfect ones and that the heart chakra attains perfect balance that one could in fact commune with the Divine. Remember that the charts of the chakra colors are on this page if you need a reminder of what order they come in.